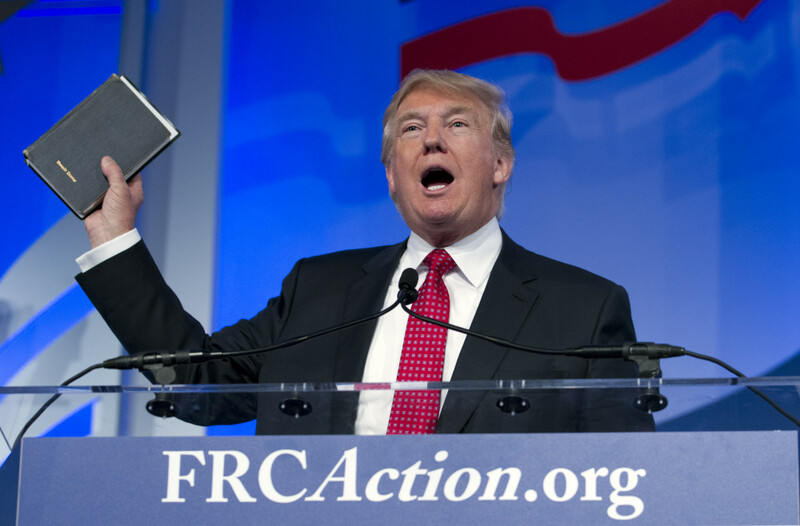 Months before Republican presidential frontrunner Donald Trump called for a total ban on the world’s 1.6 billion Muslims from entering the U.S., the billionaire mogul claimed at an Iowa conference that President Obama had banned Christians from immigrating to the country. Trump’s audience may have been receptive to his bogus claim, since he was speaking to one of the National Security Action Summits that anti-Muslim activist Frank Gaffney organized in early primary and caucus states. 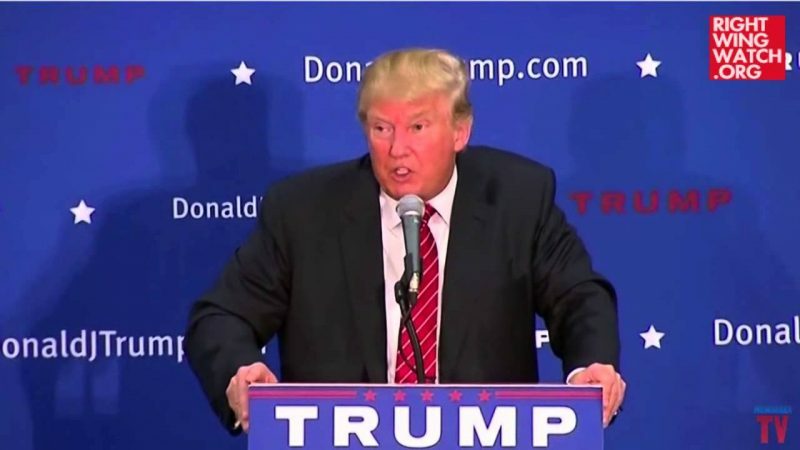 Many of Trump’s fellow GOP presidential candidates also addressed these gatherings, where they got to hear about things such as Obama’s thwarted plot to set off a nuclear bomb in Charleston, South Carolina. Gaffney, who heads the right-wing Center for Security Policy, has emerged as one of the key conservative voices on issues such as immigration, Islam and U.S. foreign policy. Most recently, Gaffney was named a member of Ted Cruz’s foreign affairs advisory team. But until recent years, Gaffney was seen as an outcast in the conservative movement as a result of his many bizarre views, from entertaining conspiracy theories about President Obama being a foreign-born Muslim to claiming that radical Islamists are running the White House, the Republican Party, NASA and the Internet. He’s even given a platform to and praised a prominent white nationalist. Much of the blame for Gaffney’s rise can be pinned on the GOP itself. Trump has frequently suggested that Obama is a secret Muslim, and Cruz alleged at one of Gaffney’s security summits that the Obama administration has banned anti-Muslim speech. Gaffney also organized the Washington, D.C., rally against the Iran nuclear deal headlined by Trump, Cruz, Glenn Beck and Sarah Palin. 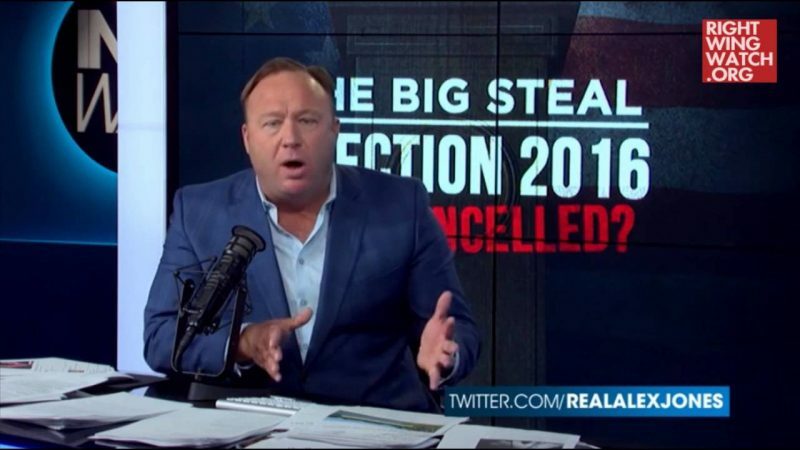 Trump and Cruz aren’t the only candidates to have embraced the conspiracy theorist. Ben Carson, who told one of Gaffney’s meetings that the Obama administration has a communist and anti-American outlook, adopted one of Gaffney’s core positions, that the Council on American-Islamic Relations is a terrorist group, as part of his anti-terrorism platform. Carson called for the government to “fully investigate the Council on American-Islamic Relations (CAIR) as an offshoot of the Muslim Brotherhood and a supporter of terrorism” and told CNN that the group is pushing “civilization jihad,” language that came straight from Gaffney. The right-wing figure’s allegation that Obama is deliberately ignoring if not supporting terrorist groups has been picked up by Cruz, Carson and Bobby Jindal. He has also targeted Muslim houses of worship, accusing mosques of bringing Muslim Brotherhood agents into the U.S. under the guise of being doctors, scientists and engineers. These sorts of claims have, in turn, helped to prop up extreme policy positions such as Mike Huckabee’s call for government monitoring of mosques and Trump’s suggestion that he would close some mosques. While Trump’s rhetoric has shocked many, extreme anti-Muslim views have permeated the GOP, and Frank Gaffney is one of the people to thank for that.